The University of British Columbia Division of Continuing Professional Development (UBC CPD) is fully accredited by the Committee on Accreditation of Continuing Medical Education (CACME) to provide study credits for continuing medical education for physicians. This Group Learning program meets the certification criteria of the College of Family Physicians of Canada and has been certified by UBC CPD for up to 13.5 Mainpro+ credits. Each physician should claim only those credits he/she actually spent in the activity. WE WILL BE ACCEPTING ONSITE REGISTRATIONS. Suitable even if you don’t attend births! The HOUSE-OB courses (both Sat and Sun) are now full. Please email us at cpd.info@ubc.ca if you wish to add on the waiting list. The Hands-On Ultrasound Education Program gives rural physicians the training and confidence to integrate point-of-care ultrasound into their practice. HOUSE OB was designed to meet the unique needs of rural physicians providing maternity care. This course features newly added content on first trimester pregnancy, including gestational dating! This Group Learning program has been certified by the College of Family Physicians of Canada for up to 27.0 Mainpro+ credits. This course incurs significant non-refundable expenses prior to the course - please read and carefully understand our cancellation policy before submitting your registration. The Division of Continuing Professional Development reserves the right to cancel a course thirty (30) days prior to the course date. Each registrant will be notified by telephone, followed by written notification and a full refund. The University of British Columbia is not responsible for any costs, including, but not limited to, airline or hotel penalties. Should you need to cancel your registration, you must do so in writing to cpd.info@ubc.ca by Sep 24, 2018. Your registration fee, less a $75 handling charge, will be refunded. After Sep 24, 2018 no refunds will be granted for withdrawal unless a replacement can be secured by the registrant; however, the cancellation fee will still apply. 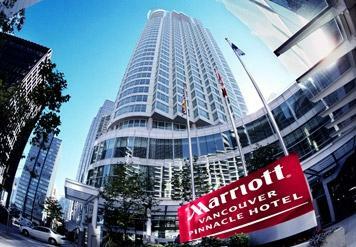 Special conference rates starting at $289 CDN per night are offered to conference attendees. Please specify that you are with the "UBC Obstetrics Update 2018" in order to receive the correct rate. Please note that this rate does not include applicable taxes or parking. In order to take advantage of the special conference rate, reservations must be made by Monday September 24, 2018. Please note that rooms sell out quickly, and you may not get the conference rate if you book late.